Let’s be honest. Most drivers on America’s rods today do not always abide by the posted speed limits, yet most of us consider ourselves to be responsible and safe drivers. 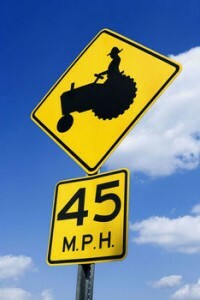 So what’s the big deal about speed limits? First, let’s consider that word, “most” when it comes to responsible drivers. Just because “most” drivers might be responsible, that still leaves room for “some” drivers to be reckless, wherein arises the need for speed limits. Not everyone will slow down to a safe speed to turn a sharp corner, and not everyone would voluntarily drive slowly through a school zone at mid-day. Hence, regulations are needed to encourage those few less-than-responsible drivers to abide by the standards of reasonableness that most drivers ordinarily accept. Statistically, it is not always high speeds that cause accidents, but low speeds or erratic driving can also lead to crashes and collisions. This is why a driver might be ticketed for driving thirty miles an hour on an interstate highway with a posted speed limit of sixty-five miles per hour. Slower than average driving can be dangerous too, and speed limits set guidelines that address this mater as well. Letting the public know what is the accepted norm for driving speeds on various roads seems to be the most effective way to encourage all drivers to conform to an accepted standard of safety, so don’t expect speed limit signs to disappear any time soon. « What Is An Insurance Commissioner?